With both Seattle and Portland breaking records for most consecutive days above 90 degrees, people in the Pacific Northwest are clutching onto buckets of ice like it’s the ALS challenge and begging the universe for mercy. The driving force behind the record-breaking heat wave – The Blob – sounds like it’s straight out of a B-horror movie from the 1950s. According to AccuWeather, an abnormally large, circular blob of warmer than usual water in the Pacific has invaded the west coast, leading to oppressively hot weather in the Pacific Northwest. 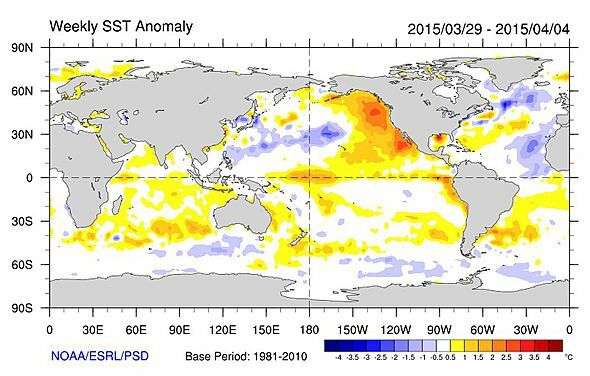 Scientists from the University of Washington speculate that persistent high-pressure ridges in the northeast Pacific, which led to a milder winter this year, has created the warm water “blob.” The average sea surface temperatures in the eastern Pacific have been 2 to 7 degrees warmer than normal. These mild conditions have allowed for extra heat to sustain near the ocean surface instead of normally getting wiped out under stormier and wilder conditions during the winter. Researchers are essentially saying warmer ocean temperatures are due to less winter cooling, not more summer heating. The lack of snowpack and cold weather during the last couple of winters in the Pacific Northwest prove the effects of this phenomenon. 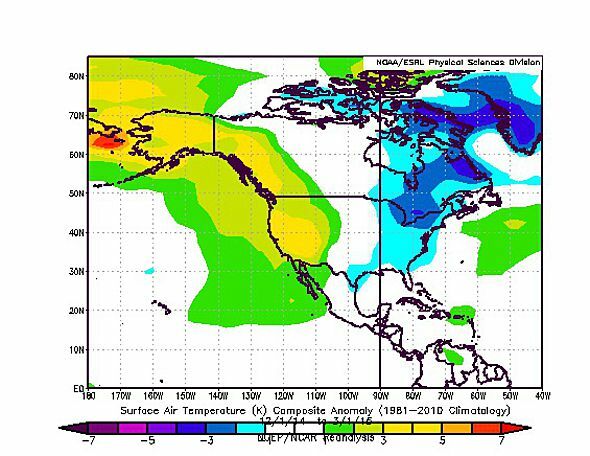 Dennis Hartmann, University of Washington professor of atmospheric science and chief author of the study argues we need to look beyond the prevalent ‘polar vortex’ term as a cause for the latest cold snaps in the Midwest and eastern U.S. According to the study, the North Pacific mode increased in strength since 1980 and has surpassed the Pacific Decadal Oscillation (PDO) and is second behind El Nino in its impact on global weather patterns. Hartmann posits the blob of warm water isn’t really caused by climate change, but some of its effects on the West Coast, like drought, are parallel. If these bizarre weather patterns persist, the whole world should prepare to live differently than our predecessors. Winters in the Midwest and Northeast will be more severe, while summers in the west will be scorching and drought-ridden. Perhaps it’s time to get rid of our conventional notion of ‘seasons’? One thing’s for sure, nature is taking its course and we are in the midst of environmental change. Do you think this is temporary, or will ‘The Blob’ continue? How are you adjusting to changing weather patterns?